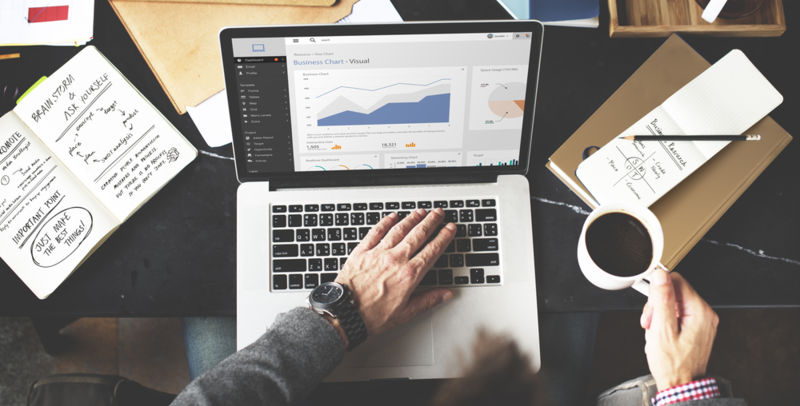 For solopreneurs, digital marketing is the #1 traffic generating tool you should be using. Since you don’t have the luxury of a large salesforce, you will need to use more passive ways to generate traffic to your website and business. Social Media Marketing is a very powerful way to get your business or product in front of a lot of people. The top social media platforms combined have about 8 billion users monthly. Facebook is the largest social media channel with over 1 billion daily active users. It is one of the most powerful channels to grow a following and get customers online. With the power of Facebook Ads and building your following, you can grow your business to be very large. Create a page for your business or product and post content regularly around your niche or product. If you have money to spend on Facebook Ads, you can promote your page or product to get more exposure online. Not only that but a Facebook Page allows you to receive reviews, comments, and messages from customers and potential new customers. Keep your Facebook Page active with relative content, videos, and information about your product. With Facebook Live, you can get in front of all of your followers and send out important sales, promotions, and value. Since Live is a newer feature, Facebook will feature it first in your followers stories feed. It will even notify most of your users that you are about to go Live. This is great for webinars, events, announcments or just to put out great content live. 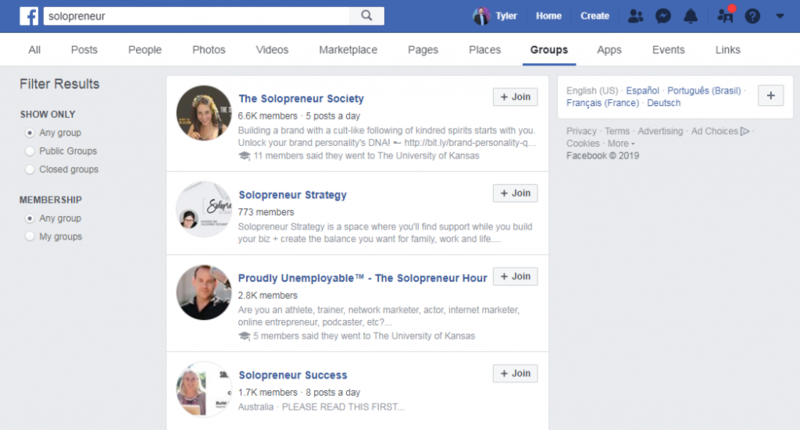 Groups are a great way to get more followers on Facebook. Simply search for groups around your subject or niche choose to view ‘Groups’. Now, you can simply join all of the groups that are relevant to your business. Now don’t go spamming all of these groups or you will get kicked out. Be active (see next) in the community and give value to the group by answering questions and publishing relevant and helpful content to the group. You will notice that people start to naturally follow you and like your page if you constantly provide good value to them. In order to grow your following, you will have to be active daily. Publish content, images, videos, and memes on a regular basis and people will start to follow your page. Be quick to respond to any messages and you will get a boost from Facebook. You will also rank well if you have a good rating on your page, so get a few friends to give you some fake ratings to start out. People are a lot more likely to give you a review if you have other reviews already. Also, you can simply reach out to your customers and ask for a review. Most of them would happily provide you one if you provided them a great service. Twitter is another large social media platform that can allow you to grow a large following pretty fast. Just compose tweets that give value, follow authority figures in your niche and engage with them and your followers. If you stay active, then you will have thousands of followers in no time… and eventually hundreds of thousands! Tweet out new information about your products/service but keep it to about 30% sales and 70% good value/content. Twitter allows you to grow your following really fast if you can get some big influencers to retweet your content. Run contests, polls, and giveaways and you will see a lot of retweets and new followers. You don’t even need to give away large items! Just a simple $25 gift card or equivalent, can gain you hundreds of followers. Instagram is all about images. Create a full profile and be sure to fill out all of the fields. Add a profile photo of your face that is high quality. Search for relevant hashtags in your niche/business and follow relevant users. They will follow you in return and you can engage with your growing community. Like other social networks, you will need to be active to grow your following. Post amazing images daily and use a ton of relevant hashtags. Make sure that you are also using stories regularly to engage with your following. 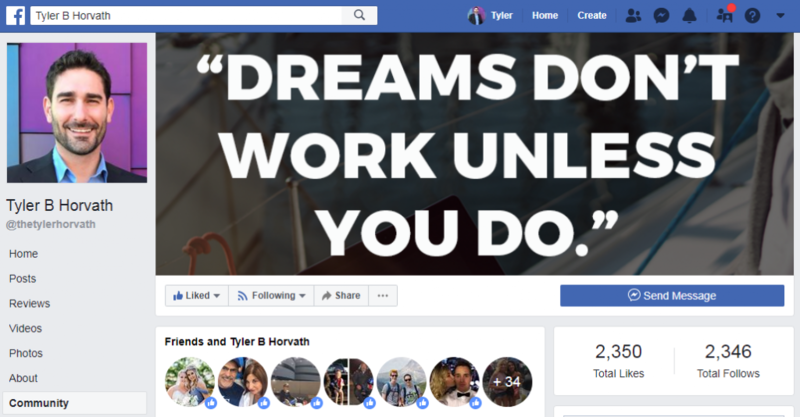 Once you reach 10,000 followers, you can convert your profile to a business account and you are able to add links to your stories which can send good traffic to your landing pages/website. Also, don’t forget to add your URL to your bio profile. This will help with SEO as well as referral traffic from Instagram. LinkedIn is perfect for b2b sales. Practically every company is on LinkedIn and you can even see the CEO! This makes sales and marketing a little easier online. If you are selling services, find your ideal customers, add them and send a quick and simple message about your services. Make sure your profile is 100% filled out, with all of your references, work history, videos, images and any other media you can add. Start connecting with people in your industry and putting out relevant content on your LinkedIn page. You can even create a company page for your website business and get a good backlink from LinkedIn. Being a solopreneur, YouTube should be one of your go-to social media platforms. People are consuming video much more in 2019. This means that now is the best time to start marketing your service/product on YouTube. Publish relevant content on your YouTube channel weekly and you will see subscriber growth over time. Try to reach a goal of 1000 videos and then you can start making money off your YouTube videos as well as getting the brand awareness. Start off by posting really great content. It doesn’t need to have a huge production value but should give your watchers valuable information. Be sure to add your videos to your website so they get more views up front. YouTube search engine is based more on active viewers than anything. So if you post a video and it instantly gets a lot of views, it will rank better in YouTube search. You also want to optimize your videos by adding detailed descriptions, a good thumbnail, relevant links, and keywords. The title should pull in the viewer and don’t forget to add links back to your website or landing page in the description. Search Engine Marketing or Search Engine Optimization is the method of optimizing your website so that you rank higher in Search Engines. The first step to ranking well in Google is to have a website that is optimized for user experience, as well as structure and code. There are plenty of great audit tools you can use to run a scan of your website and see if it’s causing you to be ranked poorly. Simply fix any issues that the audit comes back with or hire an SEO to optimize your website for you. Content is still king. And ranking your website in 2019 is all about building high-quality content that delights the searcher. Build articles that provide useful value and information to your key demographic or target customer. Find out what questions they are asking about your product or service and answer those questions in engaging content. Content doesn’t necessarily need to be blog posts either. If you prefer video or voice, then you can start a podcast or YouTube channel. Whatever it is, make sure you are consistent in putting out valuable content, and your search engine traffic will explode. Backlinks are when another website links to your website using a hyperlink. This is where the term ‘web’ was coined as everything is linked together like a web… and the webs in the middle are ranked the best. Having a lot of quality and relevant backlinks to your website will rank you high for the keywords and content that is on your website. There are hundreds of ways to build backlinks to your website but they should be quality and high DA. DA or domain authority is the measure of your websites popularity and presence on the interwebs, on a scale of 1 to 100. 100 is the highest (Google, Facebook, etc). The higher your domain authority, technically, the higher you will rank. Guest posting is another great way to get referral traffic and more backlinks to your website. Guest posting is where you write and publish an article on another website’s blog. This provides them with valuable content on their website for free (sometimes paid) and provides you a chance to link back to your site as well as build credibility and awareness. Having an active and highly rated social media presence can now help you rank better in Google. Social media is now used as a ranking factor so create all the social media profiles you can and be active. When you create content on your website, share it on social media and have your followers engage and share with their friends. Promote your top content using pay per click advertising. There are a number of ways you can speed up the marketing process if you have money to spend. Pay per click advertising allows you to advertise your product or services on popular platforms throughout the interweb. Google Ads (previously Google Adwords) and Facebook Ads are two of the best sources of targeted traffic for your solopreneur business. Using Google Search Ads allows you to bid on keywords that people are searching for in Google. You can have your ad show up in the top or left parts of the Google SERPs (search engine results pages). You can also show an image or text ad throughout the web, on websites. This is known as the display network. Display Ads are more like Facebook Ads, in that you bid on specific targeting parameters. You can choose certain demographics to show your ad to like females, between the ages of 21-30, that enjoy TV and movies. You can even specify certain websites to show your ad on. For example, if we were to run display ads, we could choose to run ads on sites like Forbes, Entrepreneur.com, Business.com, etc. Facebook Ads have become a very powerful way to reach your target customers. 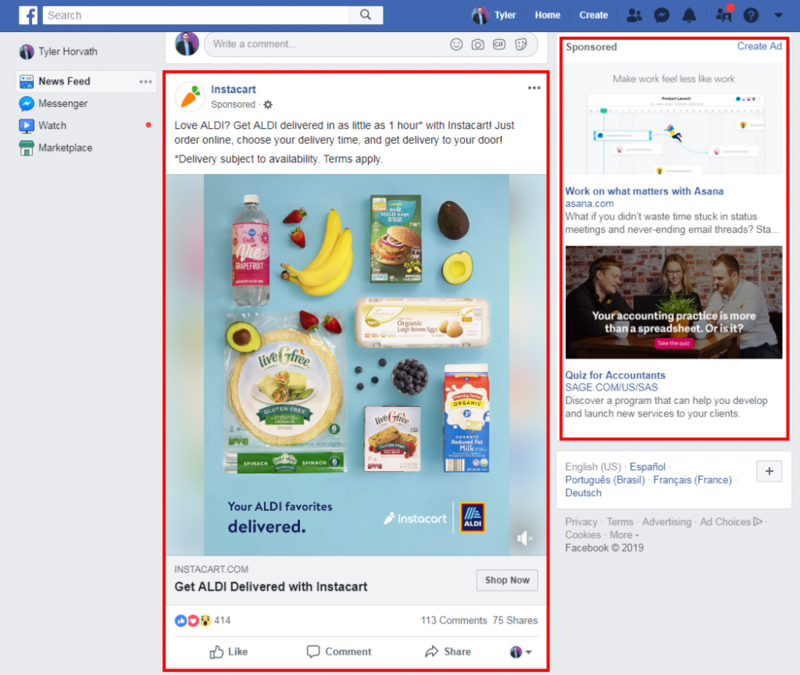 With Facebook Ads, you choose specific targetting to show relevant ads to people who may be interested in your product or service. When it comes to marketing a solopreneur business, getting really specific and targeted with your demographics and interests will give you the best results. To start advertising on Facebook, you will need to create a page that you can advertise on behalf of. Next, you will need to choose a marketing objective for your campaign. Choosing the right objective depends on your funnel and marketing objectives. Most solopreneurs will be using traffic, engagement, lead generation, and conversions. Next, you will need to choose your targeting for your campaign. Now, you will design and build your Facebook Ad. Use an image that grabs the users eye and ad text to pique their interest in your service or product. I always create a few different ad versions to A/B test the best ad to use. Look at CTR, CPC, cost per conversion, and conversion rate (depending on your objective) to see the best performing ads. Using Email Marketing can be a solopreneurs golden gun. Email Marketing allows you to create an email funnel or drip campaign that can guide your customers through buyer journey. Your #1 priority with any visitor or new lead is to save their email (and phone if you can) so you can market to them right inside their inbox. Creating newsletters are a great way to nurture prospects who aren’t quite ready to buy yet but want to be kept in the loop. 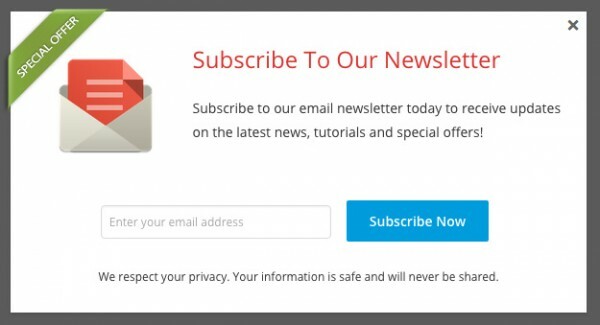 To start collecting emails for your newsletter, simply add a ‘subscribe to our newsletter’ popup with a good offer. Now that you have some email addresses, you can start sending out weekly or monthly newsletter giving your followers value and information about your services. Don’t pitch your newsletter sales every email. Give them good value and sprinkle in offers. You can use MailChimp to created automated newsletters as well as automating the newsletter sign up process. Like Cold Calling, cold email is sending out emails to potential prospects, clients or customers that you are not currently in contact with. Now, this doesn’t mean spamming a bunch of email address you found online somewhere random. You want to find qualified email addresses online who may be interested in your product or service. One good way to do this is LinkedIn. Many business owners feature their professional email address on their LinkedIn profile. Simply browse Linkedin for potential customers and then save their emails into a CSV file. 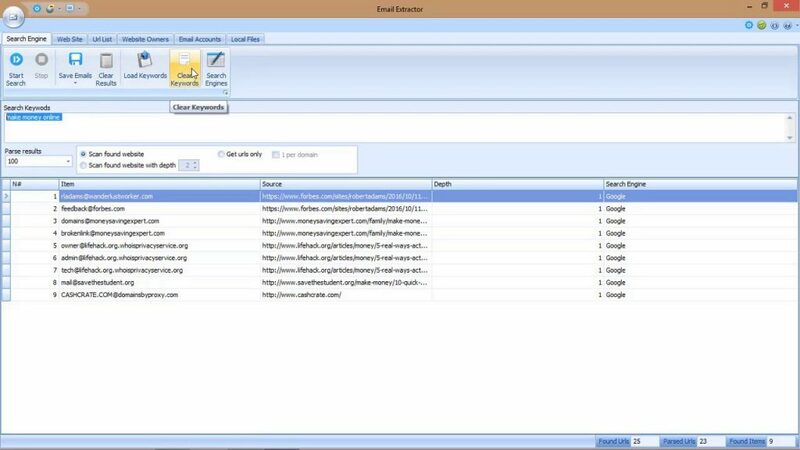 You can also use tools to scrape emails from Google. I have used Email Extractor Pro with some pretty good results scraping emails from Google. Once you have a list of emails, you can use drop email software like Mailshake to send out an automated sequence of emails. 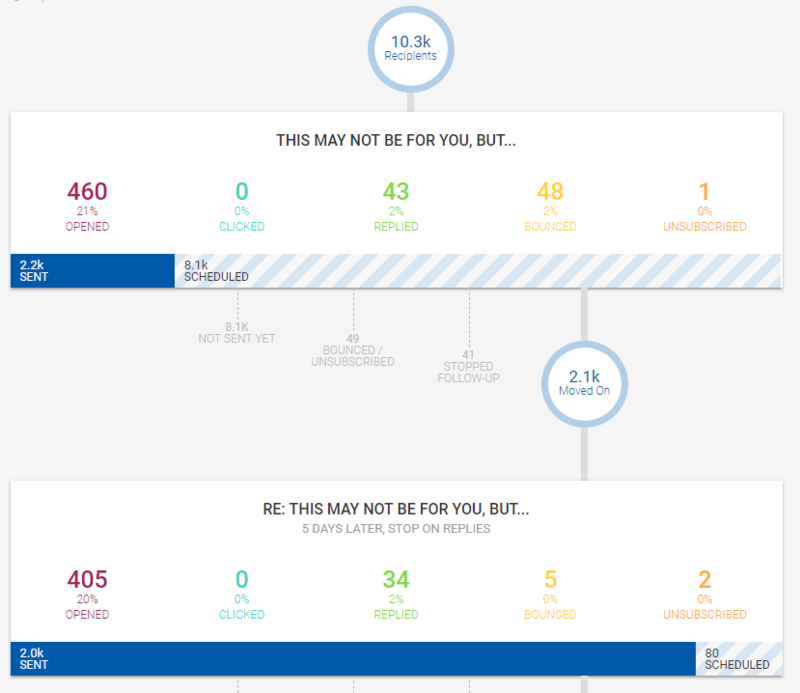 Basically, it will send out a series of automated emails that will reply to your original email after X number of days. This technology is great for solopreneurs because it is like an email marketer is working for you, sending out follow up emails while you sleep. In the end, digital marketing is the #1 marketing tool for any solopreneur. The key to solopreneurship is the interwebs so you must learn to use it to your advantage. There are a lot of great tools out there to help automate your marketing, business, and operations. Using digital marketing for your solo business can be a game changer. Simply implement the strategies above and customers will start pouring in. Do you think digital marketing is important for Solopreneurs? Let us know in the comments! This entry was posted in Marketing, Solopreneurship. Bookmark the permalink.